When I’m conducting my aesthetic PRP training in Beverly Hills & Nashville for doctors and clinic staff on how to perform PRP aesthetic procedures in the office or discussing the procedures with patients, one of the most frequent questions I hear is: “What’s the difference between the Vampire Facelift and the Vampire Facial?” They certainly sound similar, so the confusion isn’t surprising. Even though both of these trademarked procedures utilize PRP (platelet rich plasma), there is actually a significant difference in how they are completed and the results they provide. Both procedures use PRP, or platelet rich plasma, however the Vampire Facelift is a series of injections and the Vampire Facial is used with a needling device. Platelet rich plasma is a component of your own blood, which contains platelets including stem cells and growth factors. Let’s discuss both processes in more detail and you’ll see what they have in common, and more importantly, how they differ. 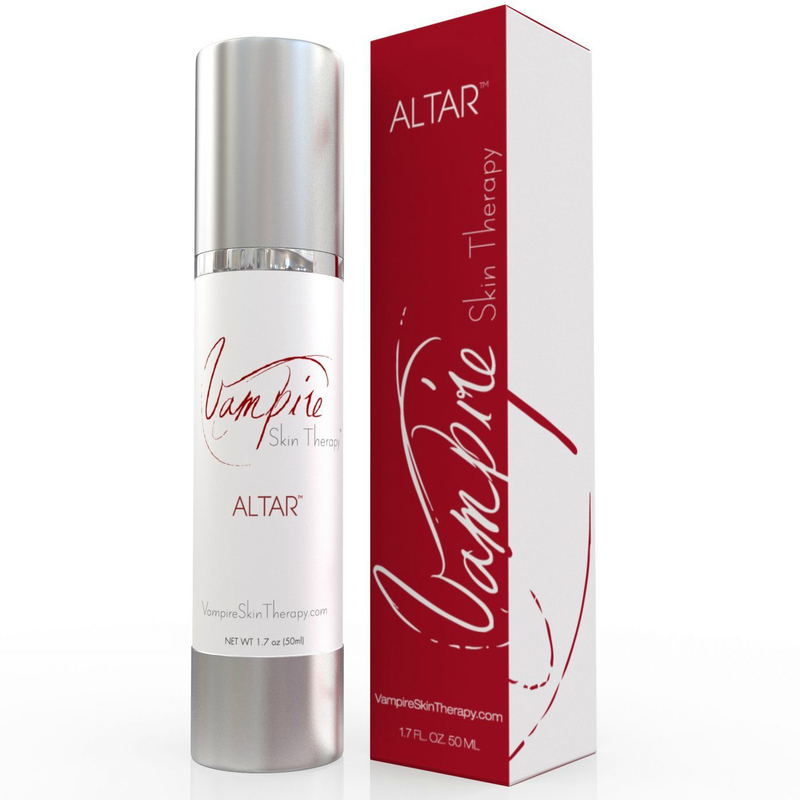 PRP is the “magic” behind both the Vampire Facelift and the Vampire Facial. 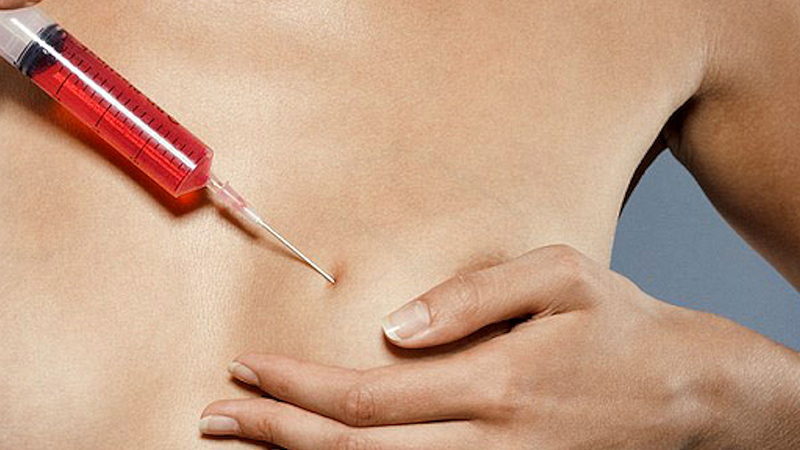 PRP stands for Platelet Rich Plasma and is a component of your own blood. It contains platelets including both stem cells and growth factors. PRP is obtained by drawing blood and then processing it in a centrifuge to separate these vital growth factors. Because the PRP is “spun out” from the blood, the concentration of the growth factors and stem cells is much higher than what is found in regular blood. Then, the PRP can be utilized in either an injection (for the Vampire Facelift) or as part of a microneedling procedure (for the Vampire Facial). 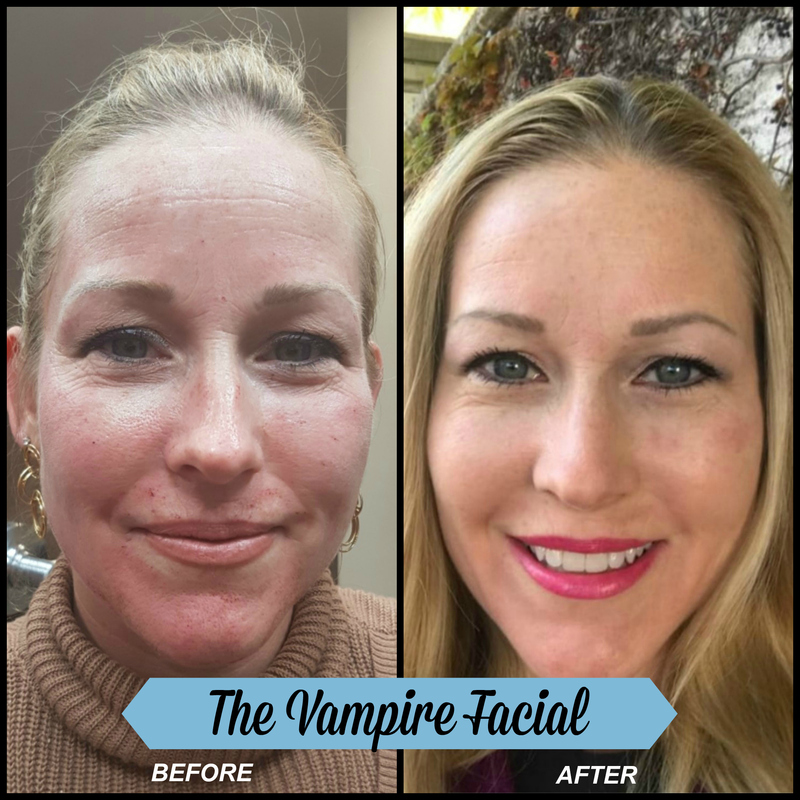 A Vampire Facelift is performed by injecting a filler (such as hyaluronic acid, Juvederm or Restylane) into areas of the face that need a “boost” and then injecting the PRP. You’ll get the benefits of the filler adding volume and shape as well as the growth factors that help the body generate new, younger tissue. Essentially the skin is “fertilized” from the inside out. You’ll see a reduction in fine lines and an increase in volume but also improved tone, color and texture. 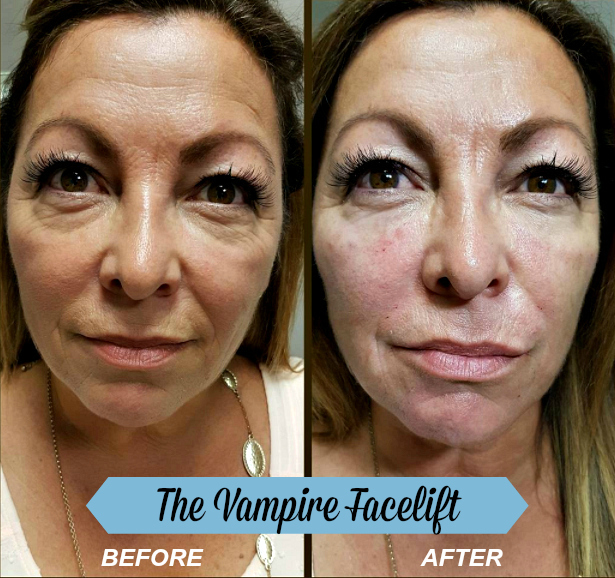 The Vampire Facelift is an excellent solution for patients who have facial volume loss that occurs after weight loss or due to aging. The Vampire Facial, on the other hand, is a type of skin resurfacing treatment (such as microneedling or microdermabrasion) which is followed by microneedling of PRP into the skin. The benefit of this method of treatment is that the tiny needles used with microneedling “trick” your body into thinking there is an injury, so new collagen is produced. Though the tiny needles may make the skin look red or irritated for a short while after treatment, it is well known to look much worse than it feels! The results are extremely beneficial for those with fine lines or those who have acne scars or other imperfections they would like to improve. How Are These Two Procedures Similar? 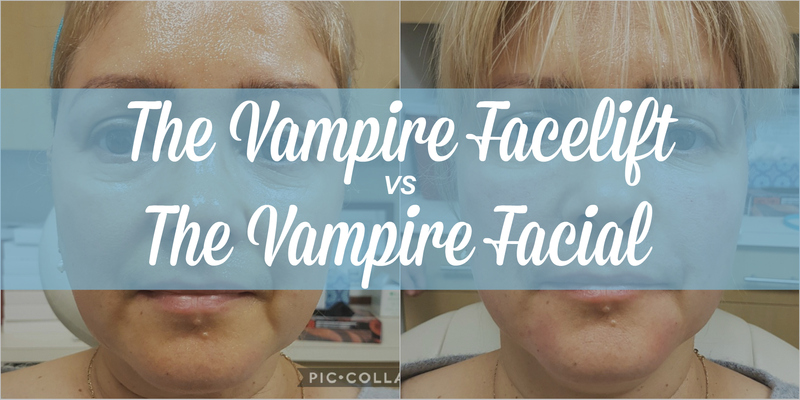 A Vampire Facelift and Vampire Facial are similar in that they are both non-invasive aesthetic treatments only offered by practitioners who have undergone extensive proprietary training, certification, and follow-up education. Patients can feel confident that the process will be as comfortable as possible and give results that exceed expectations. In addition, both procedures utilize PRP in a way that encourages the skin to heal itself and look its best for a significant time after the procedure. Results will continuously improve for a few weeks after the process and usually last for at least 12 months, and often times longer. 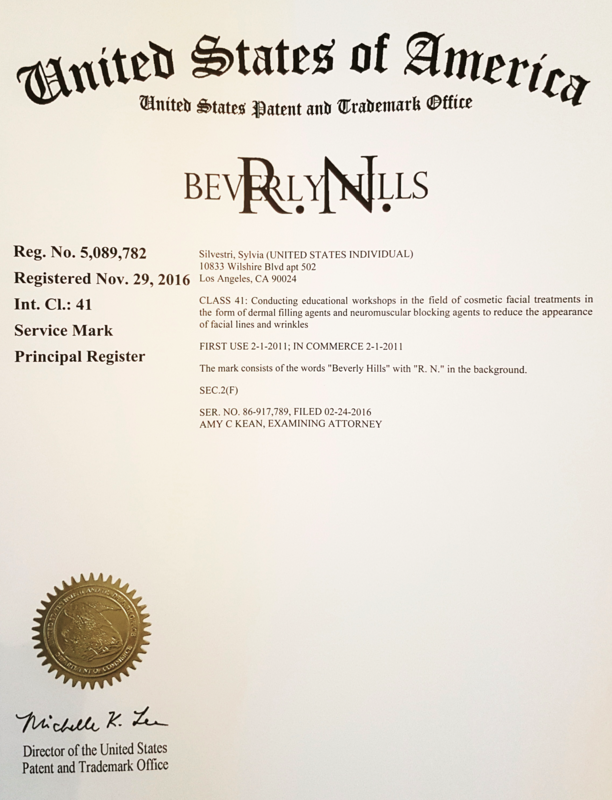 For more information about offering the Vampire Facelift or Vampire Facial in your office, reach out to Sylvia. Sylvia is the world’s leading trainer of the Vampire Facelift and Vampire Facial procedures and also offers training for the O-Shot, P-Shot, Vampire Breast Lift, Vampire Wing Lift, and more. 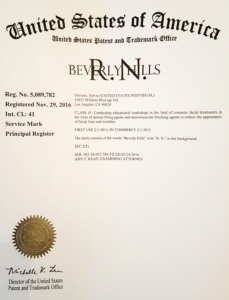 To schedule an appointment or to learn more about her monthly workshops in Beverly Hills and Nashville or her custom On-Site workshop right in your office, contact Sylvia today.